Modelling Early Christianity explores the intriguing foreign social context of first century Palestine and the Greco-Roman East, in which the Christian faith was first proclaimed and the New Testament documents were written. It demonstrates that a sophisticated analysis of the context is essential in order to understand the original meaning of the texts. The contributors examine social themes such as early Christian group formation, the centrality of kinship and honour and the economic setting. They offer a wealth of novel and socially realistic interpretations which make sense of the texts. 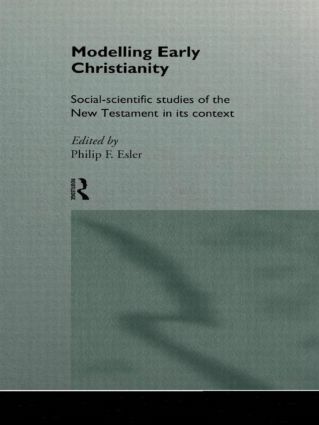 At the same time, Modelling Early Christianity contains significant new ideas on the relationship between social-scientific and literary-critical analysis, the theoretical justification for model-use and the way these new approaches can fertilise contemporary Christian theology.